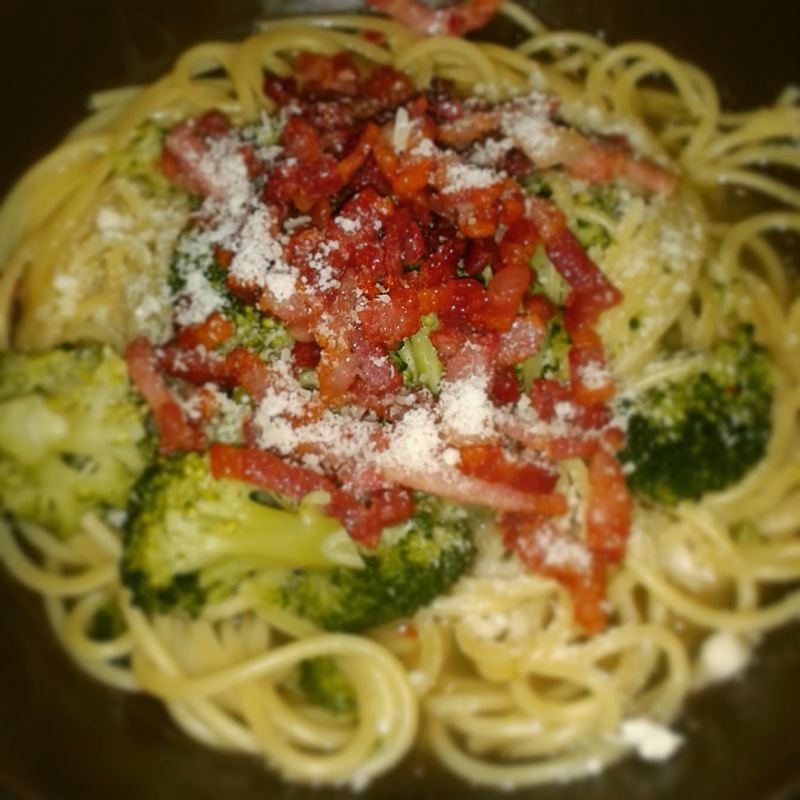 Spaghetti broccoli, fast and simple! Something you can make if you don’t have the time to cook is spaghetti broccoli. In spite of the other recipes on my blog, this is not one of my grandmothers. It’s a recipe that we got from my girlfriends grandmother. You start by cleaning your broccoli. 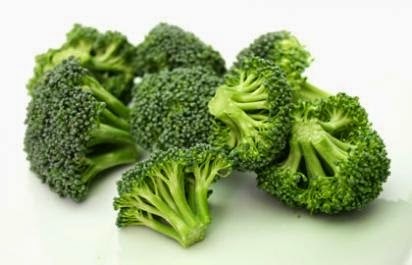 Only use the florets of the broccoli. Put them in a big pot with your broth, chilly flakes, laurel leaf and garlic. Now bring it al to a boil. Once your broth is boiling you can add your spaghetti. The rest depends on the brand and type of spaghetti you use. We usually use spaghetti number 12 from “De Cecco“. These will need about 12 minutes to cook. Don’t forget to season with salt and pepper. The next part is optional but it gives an extra flavor to your dish. Let’s prepare our bacon. Very simple… You take a pan, heat it and put your bacon in and season it with peper (i use salty bacon so no need to put salt on it). Leave it until your bacon is brown and crispy. Now take a deep plate (like a soup plate) and put your spaghetti in it, fish out some broccoli florets and add your bacon. Finish it all with some broth and Parmesan cheese. Enjoy this quick and easy pasta dish!